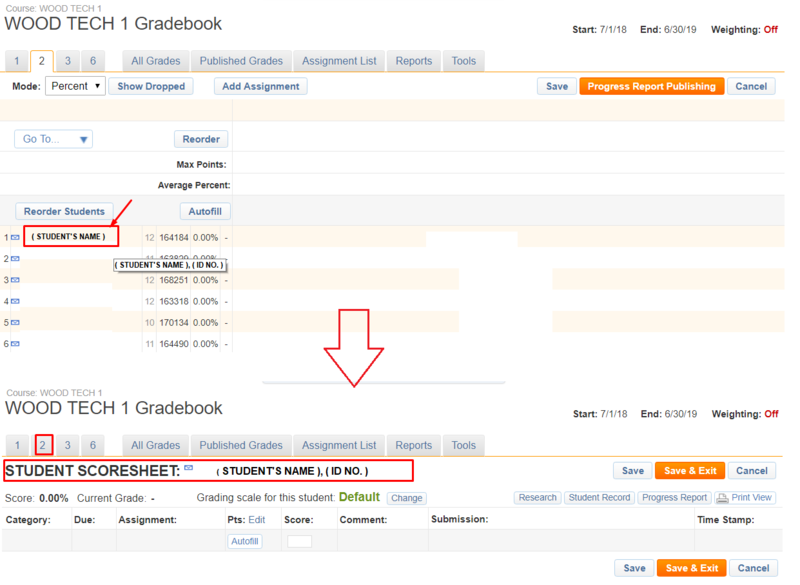 For each period, the Gradebook has a spreadsheet of assignments and students with cells for entering scores. The following steps will guide the user in switching periods in each course. 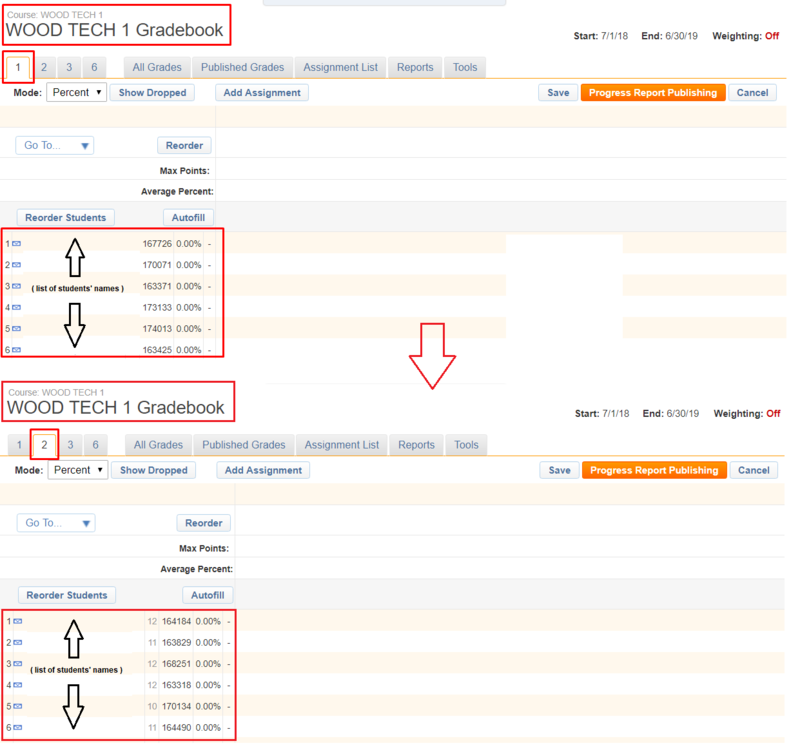 On the teacher's portal, click Gradebook in the selected course (e.g. Wood Tech 1). To Switch Periods, click one of the period numbers (e.g. from 1 to 2) tabs at the top left of the Gradebook. To work with either the assignment or student, click an assignment title or a student name. Each time a number tab is clicked, a new list of students and information about them can be seen in that period.